Enter a whole new kingdom of bold bass tones. 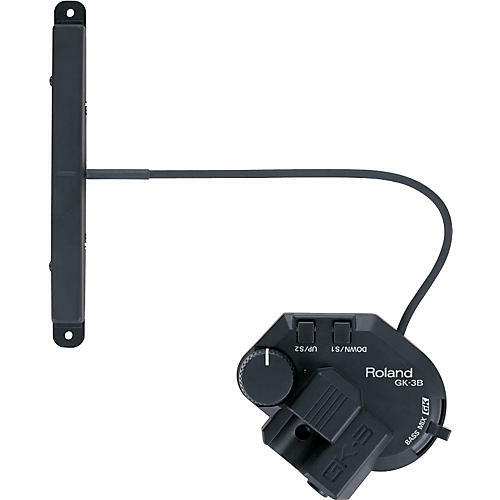 The Roland GK-3B Divided Bass Pickup is designed to drive the Roland V-Bass or GR-20 guitar synth. This state-of-the-art bass synth pickup from Roland is smaller and thinner with great tracking. Either/or/both switch and large, smooth-action volume knob let you control the mix of straight and synth signals from your instrument.